Today Pioneer DJ announced compatibility of the Serato® DJ software with its DDJ-S1 DJ controller, replacing the bundled Serato ITCH® software. Serato DJ improves functionality and performance of the DDJ-S1 and adds a range of creative features and functions including Slip, Hot Cue Fader Start, Roll and audio effects from iZotope®1. Current owners of the DDJ-S1 can update to Serato DJ at no charge (DDJ-S1 firmware update Ver.1.10 also required)*. The DDJ-S1 is designed to give DJs and music enthusiasts an easy way to access and play their digital music files at home or on the go. 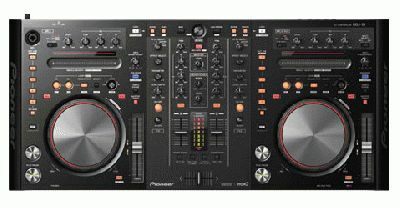 Professional Layout – The controller offers the same operability and functionality of Pioneer’s professional players and mixers. The controller includes 115 mm diameter jog platters, master level meters and channel level meters for ease-of-use. The buttons and knobs of the DDJ-S1 are pre-programmed for Serato DJ (after firmware update) and can be used when connected to a PC. Laptop Dock Structure – The controller is designed for slipping the keyboard of a laptop beneath the product to bring the monitor closer to the DJ for better visuals of song information. Track Song Progress – The DDJ-S1 allows the user to track the progress of a song on its easy-to-read LED display. The built-in Needle Search pad enables direct access to specific parts of a music track with a simple touch of the pad. Powerful Sound – The controller has been optimized for Serato DJ software for powerful and high-quality audio output. Pioneer DDJ-S1 DJ Controller is available with a suggested retail price of $699.